I can't believe I missed this last year. Especially since my son is a Papercrafting Master! Did you know that you can download and print (for free!) 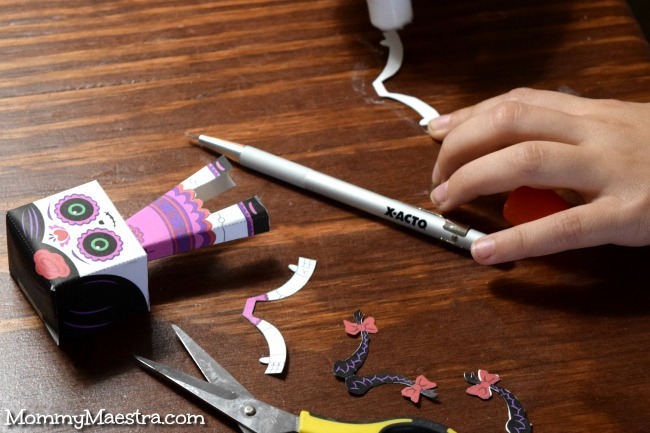 a Rosita paper doll? 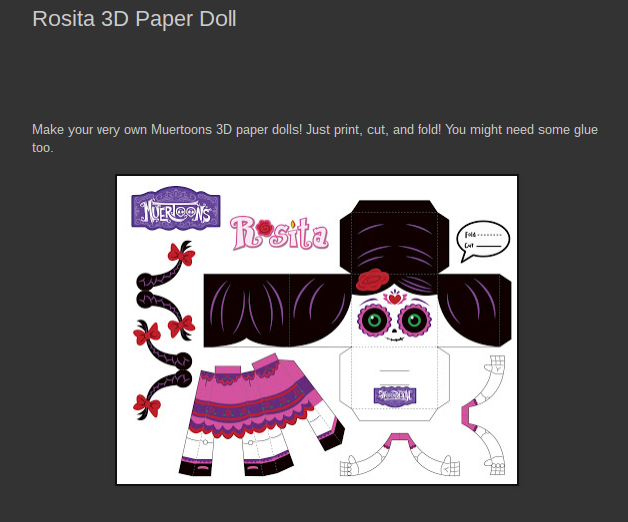 Just visit the Muertoons blog. Enjoy this fun activity! 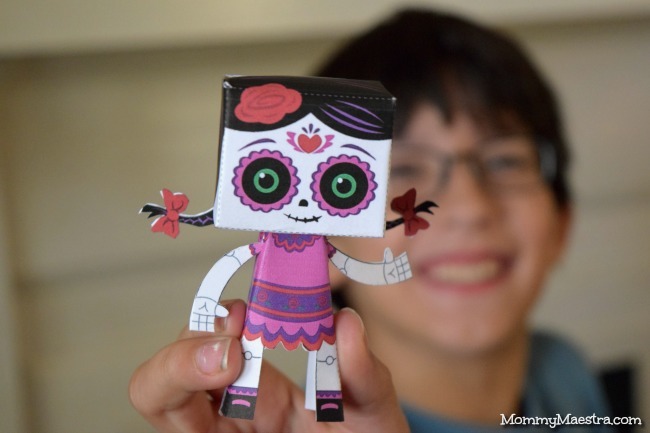 It's perfect for celebrating Día de los Muertos.